Our product range includes a wide range of on grid solar ups, off grid solar ups and solar ups. 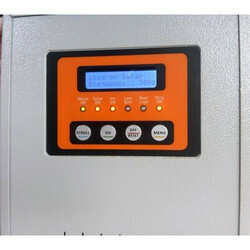 With our past years industry experience, we are engaged in offering an exclusive range of Power Conditioning Unit which provides the facility to charger the battery bank either through Solar or Grid/DG set. Offered conditioning unit is developed utilizing top quality material under the supervision of professionals. This conditioning unit is checked on different parameters in order to deliver a fault free range. The offered conditioning unit is an integrated system consisting of a solar charge controller, inverter and a Grid charger. With our in-depth knowledge and experience, we are engaged in offering a wide array of Solar Power Conditioning Unit that is highly admired for their excellent performance and longer life. This power conditioning unit is made using premium raw materials so as to enhance its durability and workability. Our power conditioning unit finds applications in rural areas & emergency communication systems. As well, the offered power conditioning unit is inspected on varied parameters so as to dispatch a faultless range. Sri Adhava Power Industries is an ISO 9001:2015 company mfg of all types of Washing equipments, Power conditiong products like Stabilisers, Transformers and Solar Power Products also involving in Hygine care products like Sanitary Napkin Destroyer and Vending machines and supply to varies cities like Coimbatore, Chennai, Kanjipuram, Tirupur, Erode, Salem, Dindigul, Trichy, Madurai, Thenkasi, Tirunelveli, Pollachi, Madurai, Ooty, Kodaikanel, Hosur, Namakal, Karur, Udumalpet, Thajur, Kumbakonam, Tiruchendur, Thutukudi, Mayavaram etc. Our company has achieved widespread recognition for offering Solar UPS to the clients. Offered range is made in variety of sizes and designs. This product is available in a number of technical specifications in order to meet the variegated requirement of our respected customers. 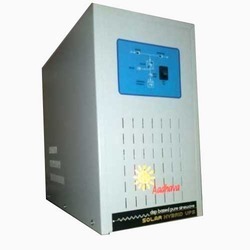 Solar UPS is highly used in residential, commercial and industrial building to cope with power cut problem. 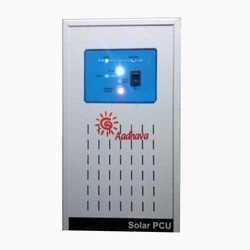 Sri Adhava Power Industries is an ISO 9001:2015 company mfg of all types of Washing equipments, Power conditiong products like Stabilisers, Transformers and Solar Power Products also involving in Hygine care products like Sanitary Napkin Destroyer and Vending machines and supply to varies cities like Coimbatore, Chennai, Kanjipuram, Tirupur, Erode, Salem, Dindigul, Trichy, Madurai, Thenkasi, Tirunelveli, Pollachi, Madurai, Ooty, Kodaikanel, Hosur, Namakal, Karur, Udumalpet, Thajur, Kumbakonam, Tiruchendur, Thutukudi, Mayavaram etc.